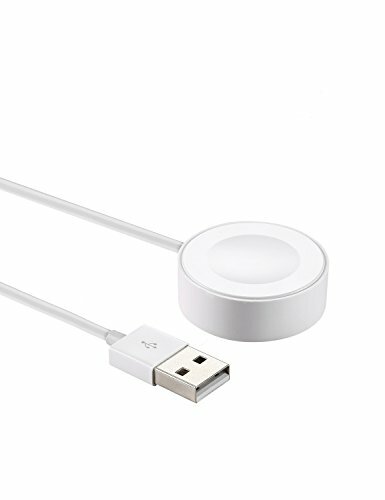 This IQIYI product is certified by Apple, meets all Apple products' performance standard. Which ensures to provide customers steedy high-quality and complete-compatibility. You can easily dock your Apple Watch with automatic absorption and location. It holds your Apple Watch securely with strong magnet. Please Note: Our Apple watch charger can't match with stands that support the Apple original charger cable due to its bigger Magnetic Module. 3.Length: 1 feet or 0.3m (There are 3.3ft or 1m and 6.6ft or 2m length to be chosen in store). We guarantee the durability of this product by offering 12-month warranty, free replacement or a full refund for non-manmade problems. Please contact us for any questions about the products and services at any time. If you have any questions about this product by IQIYI, contact us by completing and submitting the form below. If you are looking for a specif part number, please include it with your message.